Hello again and happy Monday. Are you all now awake? 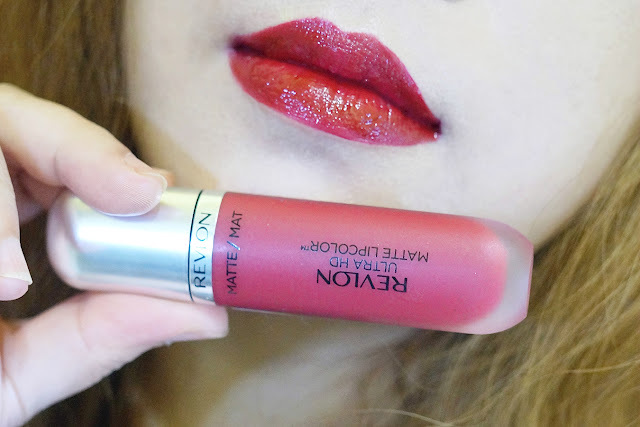 *_* I'm back with a review of another shade from the Revlon Ultra Matte Lip Color line. 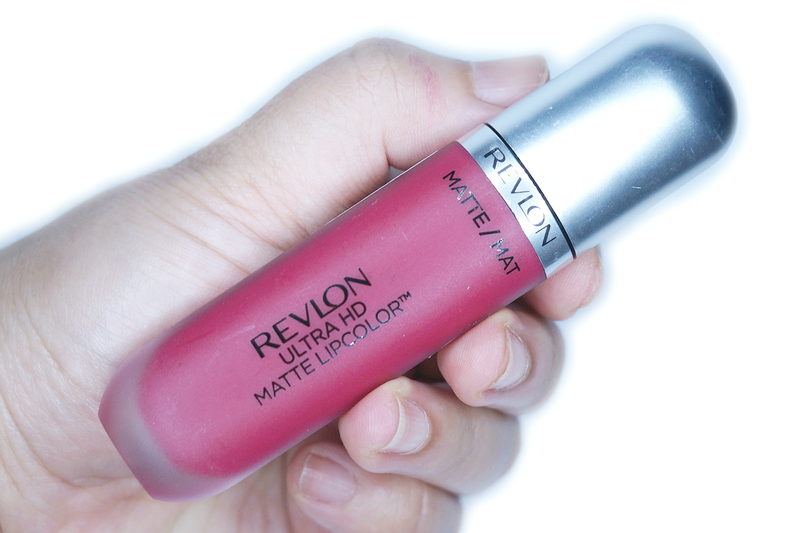 This shade is 635 HD Passion. 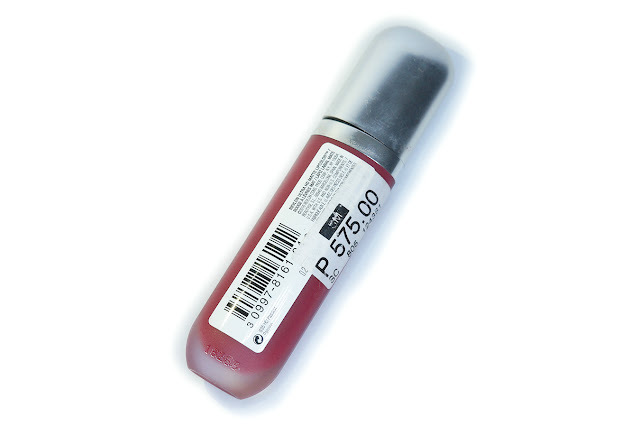 As per usual, this lipstick comes in a transparent glass packaging, a silver twist up closure and a pointed wand applicator. The shade label is indicated in the back, in a minuscule text. Since I have two shades and are both reds, I had occasionally confused which top belonged to which. Maybe Revlon can also put the shade name on the silver closure to avoid this. Otherwise, I have no qualms about the packaging as it seems to be sturdy and travel-friendly. 635 HD Passion can be described as a medium-deep cranberry red with cool undertones and a semi-matte finish. 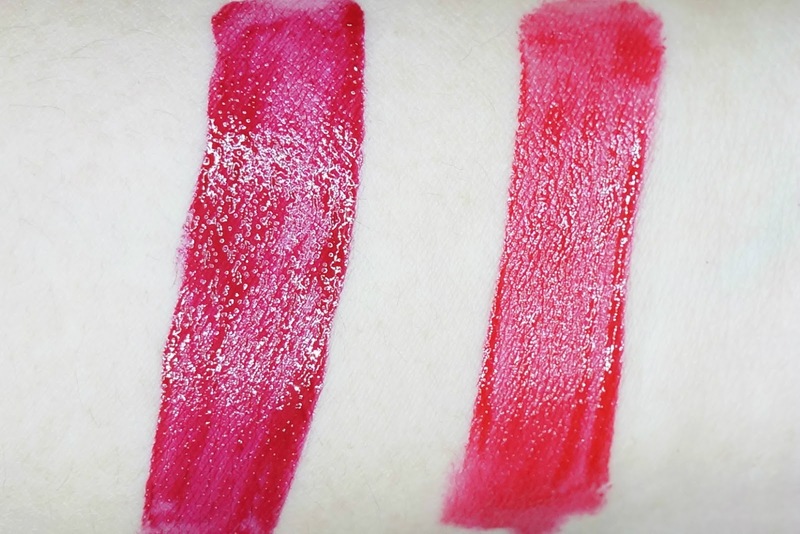 I have swatched it beside 660 HD Romance (see above) so you can gauge how deep a red it is actually. As you can see, Passion is deeper (vs Romance) with hints of raspberry. 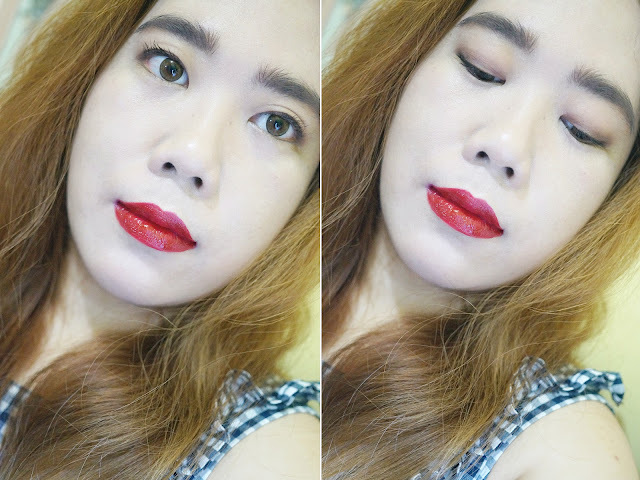 Personally, I like this shade better than Romance since it looks more flattering against my yellow skin tones and doesn't look too red and bright on me. This color can also be suitable across all complexions. You can get full opacity with a single swipe, though with a couple more you get a richer color. Pigmentation is still great. 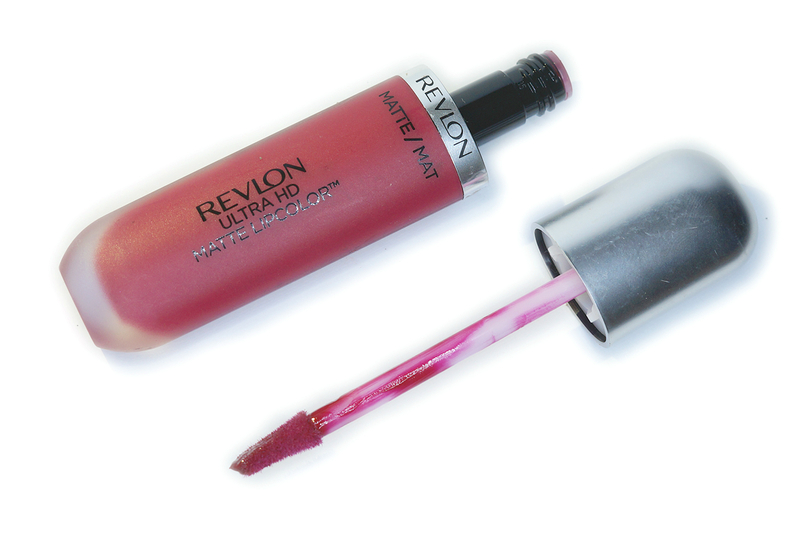 Applying in thin, single layers is still best with this lipstick to avoid streaking and bleeding. This also doesn't completely dry down to a flat matte finish. Texture is creamy and velvety. The balmy consistency prevent this from flaking after it has dried down to a semi-matte finish. 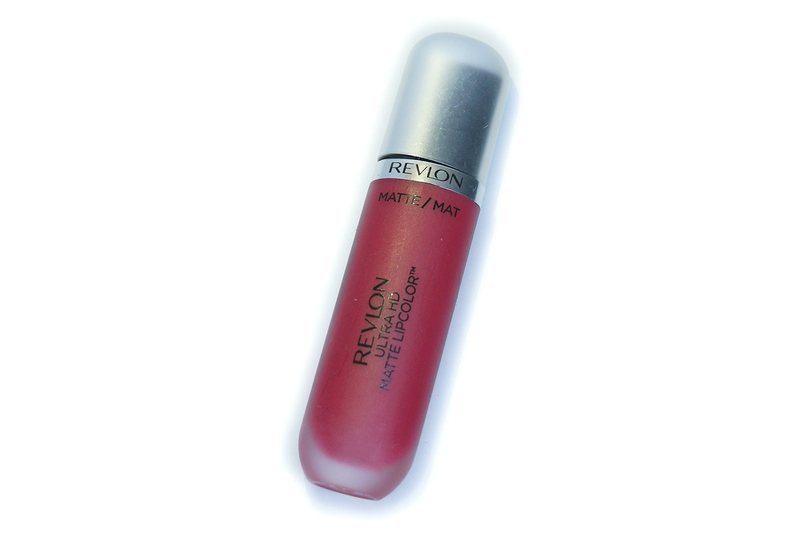 It feels very light and comfortable on the lips. Application is easy and smooth, it didn't settle into lines nor bled out. 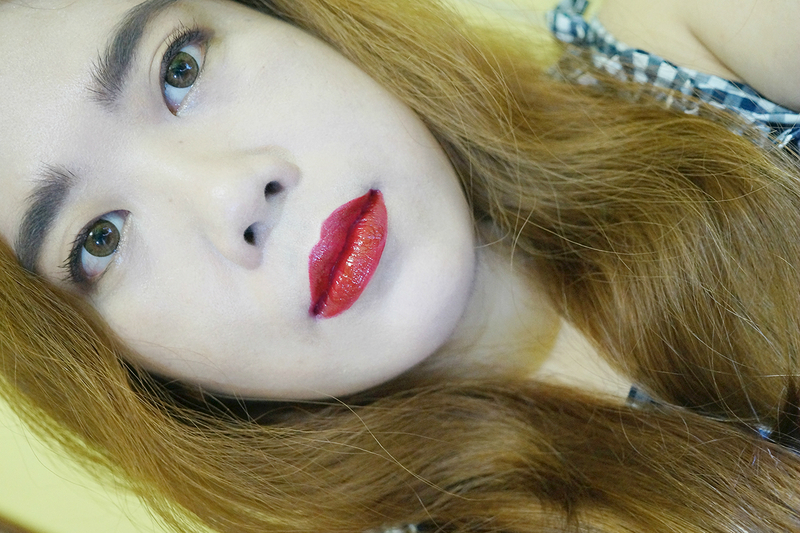 As with Romance, this lipstick also transferred a lot. But because of the richer payoff, it stayed on longer. The color remained or up to five hours with minimal snacking. The transfer was not an issue for me as I still get a smooth and patch-free finish with reapplication. It faded evenly and left a pinky-red stain. I noticed a slight sweet vanilla fragrance which didn't bother me (but I could do without) since it faded after a while.ile. Because of the liquid and thin formula, you can also use this as a lip tint or stain since you can apply a small amount and just spread it across your lips for a just bitten look.